This new year is getting off to a slow start for me. I have a million things I hope to accomplish this year, but I am giving myself the space to start with baby steps. Trying to keep the goals and ambitions in sight without letting them own me. One of those ambitions is to open the door a crack and let some of my work out into the world. So, occasional instagram, occasional blog posts. I’m not ready to immerse completely in an internet life, but I want to dip a toe in, see how it feels, see if I like where it takes me. This little Sassafras has been on my mind and drawing board forever. This year she is getting a book. with a little toe-tapping “sassYfras” waiting near by, it must be even harder not to start galloping off! 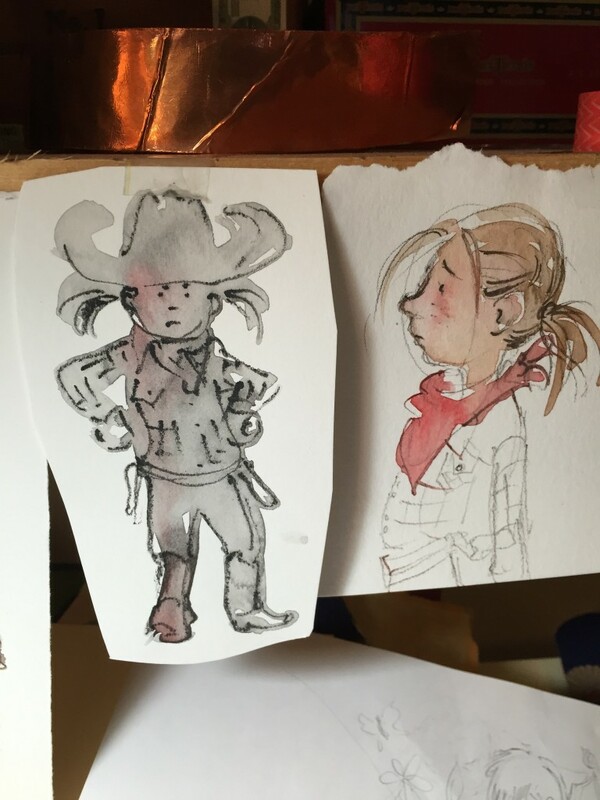 looking forward to how you keep that tiny cowgirl and all your ambitions where you want them…go, abigail!